Due to sudden family illness, my husband and I had to fly to the UK and spend several months there. Of course, my çini tools were left behind. Plus there wasn’t my creative energy in my system for design work. 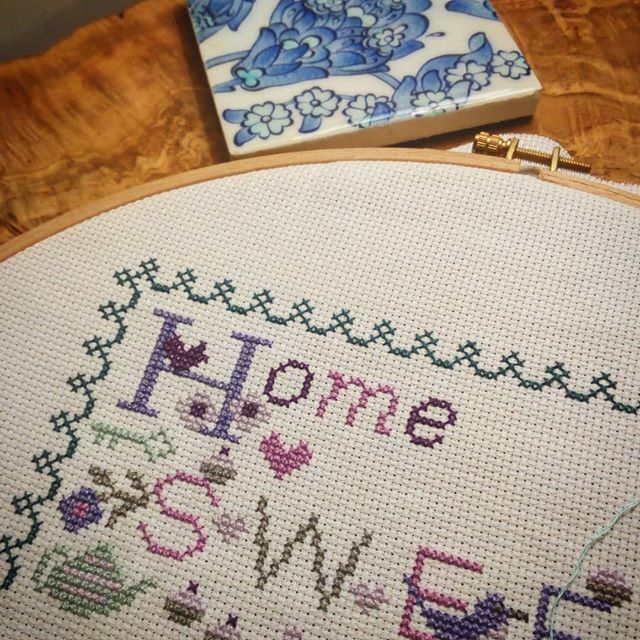 So how fun to be given a cross stitch set to work on in the quieter moments. It was refreshing to get on with something that didn’t require much thought or equipment but was also bringing colour into the sadness. I spent many happy hours as a child doing cross stitch (which English girl in the 80s and 90s didn’t receive a set for Christmas – along with the black brass scraping tiger set?! ), so it was good to give it another go.